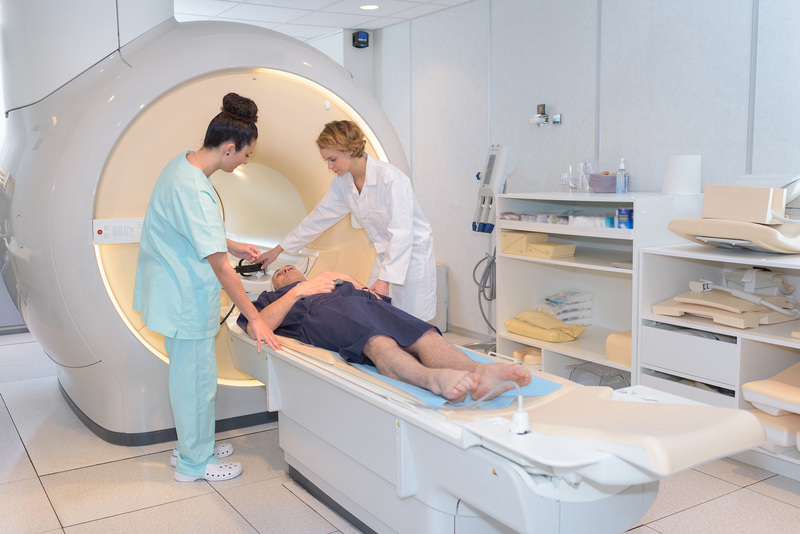 The deadline to apply for Kellogg Community College’s Magnetic Resonance Imaging (MRI) Program beginning this summer has been extended to Tuesday, Feb. 12. The original application deadline of Feb. 1 was extended after campus was closed for several days last week due to weather conditions. KCC’s MRI Program prepares graduates for certification to become MRI technologists qualified to user powerful magnetic fields, radio waves and computers to create digital images to assist patient diagnosis in hospitals, physician offices and diagnostic imaging centers. Completion of KCC’s MRI Program results in an Associate of Applied Science degree in Magnetic Resonance Imaging and makes graduates eligible to take the MRI certification exam administered by the American Registry of Radiologic Technologists (ARRT), through which they can earn nationally recognized professional credentials. KCC’s MRI Program is one of nine educational MRI programs offered as part of the Michigan Radiologic and Imaging Science (MiRIS) Consortium. The program consists of four academic semesters including two summer sessions, with traditional coursework offered in an online format and clinical education provided off campus at one of 25 clinical sites in Michigan. Admission to KCC’s MRI Program is competitive, and just five students are admitted to the program during a limited open-application period each year. For more information about the program, visit www.kellogg.edu/magnetic. Additional information also is available by contacting KCC’s Selective Admissions office at seladm@kellogg.edu or 269-965-4153. The application periods for KCC’s 2019-20 Nursing Program and Allied Health programs including Dental Hygiene, Physical Therapist Assistant and Radiography are also open, but for a limited time with deadlines approaching. Admission to the KCC health programs listed above is selective, and each program has its own admission process and a limited application period each year. Applicants seeking admission into KCC’s health programs must first fill out a general KCC application and complete the required courses for each program before submitting a program-specific application. For detailed information about admission to each Allied Health program, including links to applications and information about courses, visit www.kellogg.edu/allied-health-admissions. For information about admission to the Nursing Program, visit www.kellogg.edu/nursing-admissions. Additional information also is available by contacting KCC’s Selective Admissions office at seladm@kellogg.edu or 269-965-4153.